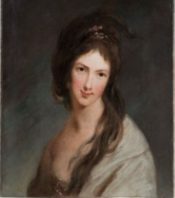 ELIZABETH WILLING POWEL kept up her correspondence with George Washington in 1798. She delivered to him a set of prints from a friend that she added to. She also did some shopping for him. I have the Pleasure to send the Book of Prints that you were so obliging as to accept from your Friend. 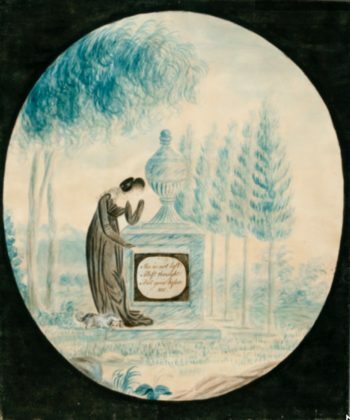 I have also taken the liberty to add a few that I admire on a presumption that the Mind capable of tracing with Pleasure the military Progress of the Hero whose Battles they delineate will also have the associate Taste and admire fine representations of the Work of God in the human Form. As you wish to take Miss Custis a Testimonial of your recollection of her, I really know not of any Thing more appropriate at this Season, than a fashionable Muff & Tippet; and such may be procured for less than Thirty Dollars, a Pattern of Muslin for a Dress such as you would choose to present will I find cost Sixty dols. at least——a Pattern for a half or undress may be bought for 23 dols. ; but let me know what will be most agreeable to you and I will purchase it with Pleasure and pack it up in a manner the least inconvenient for you. 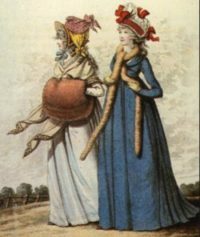 The image shows a fur muff on the left and a fur tippet on the right, popular during the 1790s. 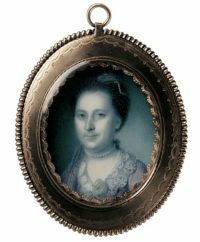 Eleanor “Nelly ” Parke Custis was Martha Washington’s granddaughter.